With the release of Doom Patrol Vol. 1, Gerard Way has created a special Spotify playlist that perfectly captures the mood of the first six issues of Doom Patrol. Considering Way was the frontman of My Chemical Romance for 12 years, it's safe to say that he knows music which is why this special Doom Patrol playlist is both a dope addition to the series along with being just an amazing playlist you can listen to in the car. This 14 song playlist features classic tracks from Judas Priest and The Damned, along with many more. If you've already read Doom Patrol Vol. 1, then it provides the perfect background for a re-read as it almost gives the six issues a cinematic feel. Way's series is actually volume six of the Doom Patrol saga with the original Doom Patrol being written by Arnold Drake in 1963. Doom Patrol was also a huge inspiration for Umbrella Academy, also written by Way. If you haven't read any issues of Doom Patrol or anything else from his DC Comics imprint, Young Animal, then you should definitely check out the 32-page Young Animal “mix tape” which provides previews for four different comics. You can purchase Doom Patrol Vol. 1 at a variety of retailers including Amazon and your local comic book store. While you wait for it to ship, why not listen to the playlist? Check it out below! 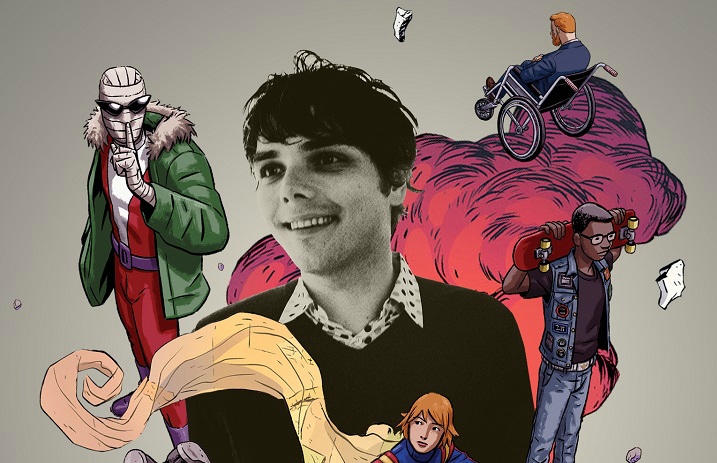 Doom Patrol is written by Gerard Way and illustrated by Nick Derington. Next articleQUIZ: How well do you know the lyrics to Avril Lavigne’s “Sk8er Boi”?